In the heart of Italy lies Tuscany, where all roads lead to paradise. The fabulous Tuscan landscape, with a backdrop of cypress covered hills and medieval cities in muted colours, was the source of inspiration for the greatest painters. Art aficionados will be enthralled by Florence, Siena, and Lucca, all repositories for artistic treasures. 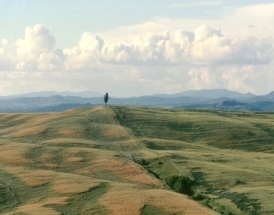 Nature lovers will be spoilt for choice with the Chianti Mountains and the golden sandy beaches. And epicures can get a taste of the Tuscan way of life as they raise a glass of Chianti at a trattoria.